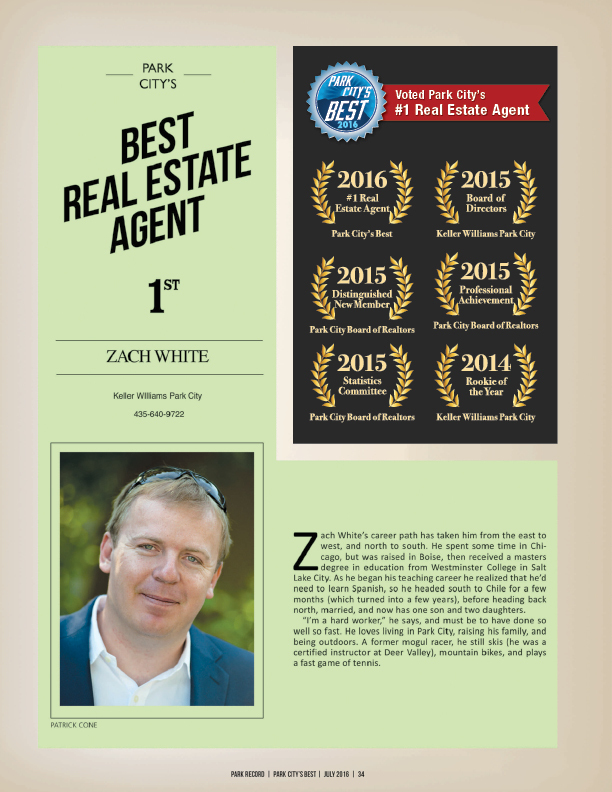 Zach White, the founder of Zach White Group Luxury Residential Real Estate, has earned the respect and recognition within the industry through numerous awards and appointments. He is an active member of the real estate professional community, including the Park City Board of Realtors. 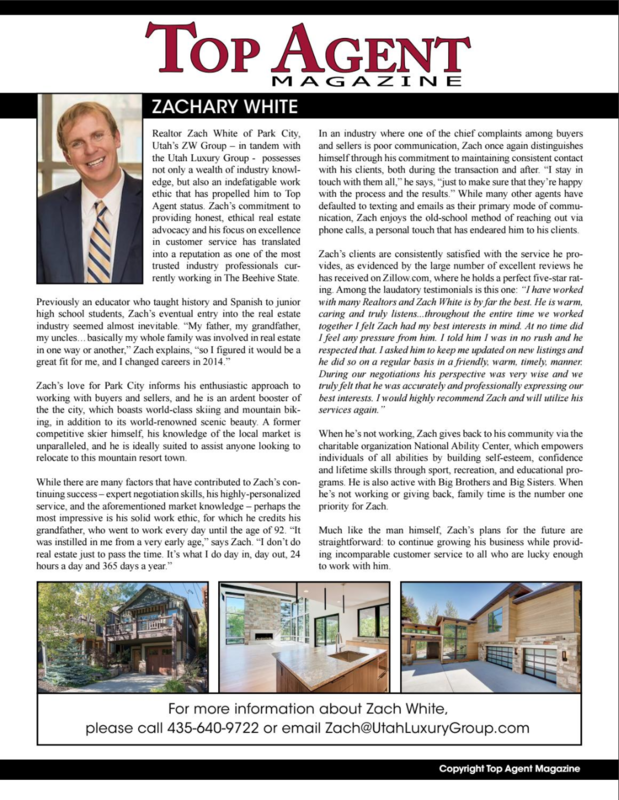 Zach’s engagement in the community and knowledge of Park City will be the first thing to win you over to wanting to create a life in the area. He has lived in Park City for more than 10 years and has built his reputation on professionalism, honesty, integrity, and knowledge of the local area. Zach’s love of Park City developed during his days of freestyle skiing competitions. Traveling from mountain town to mountain town across the country, he eventually arrived in Park City – and he was hooked. After he graduated from Boise State University in Idaho, he worked as a ski instructor at Deer Valley Resort while working toward a master’s degree in education from Westminster College. His early work took him to Argentina and Chile for a few years, where he met his wife, also a lover of the outdoors. Although Zach no longer skis competitively, he spends as much time as possible enjoying the Park City lifestyle with his wife and three children. Over time, he developed a strong desire to follow in his family’s tradition of real estate. He embarked on his real estate career in 2014, and since then has worked with numerous high-end and luxury properties in Park City and Deer Valley area. Zach’s love for real estate, and his work ethic and integrity, can be attributed to his grandfather, who worked every day until he was 92 years old. While Zach prides himself on his work ethic, loyalty, and knowledge of the industry, he feels the real key to his success is his personalized approach.